Two black teens are missing in Chambersburg, PA. 16 year old Kaira Watkins, and 14 year old Chakeema Spencer have been missing since Monday, March 27. They were last seen in the area of the Sunoco gas station in Fayetteville earlier that evening. Police say they may be in a Toyota 4-Runner, the is color unknown at this moment. 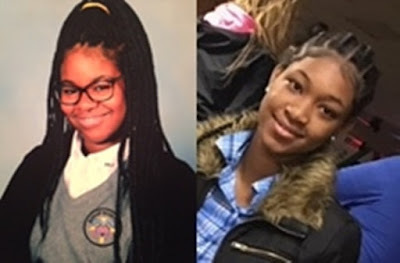 If you have any information regarding the whereabouts of Kaira Watkins and Chakeema Spencer please call the Chambersburg Police Department at (717) 264-4131, or 911, or leave a tip here.